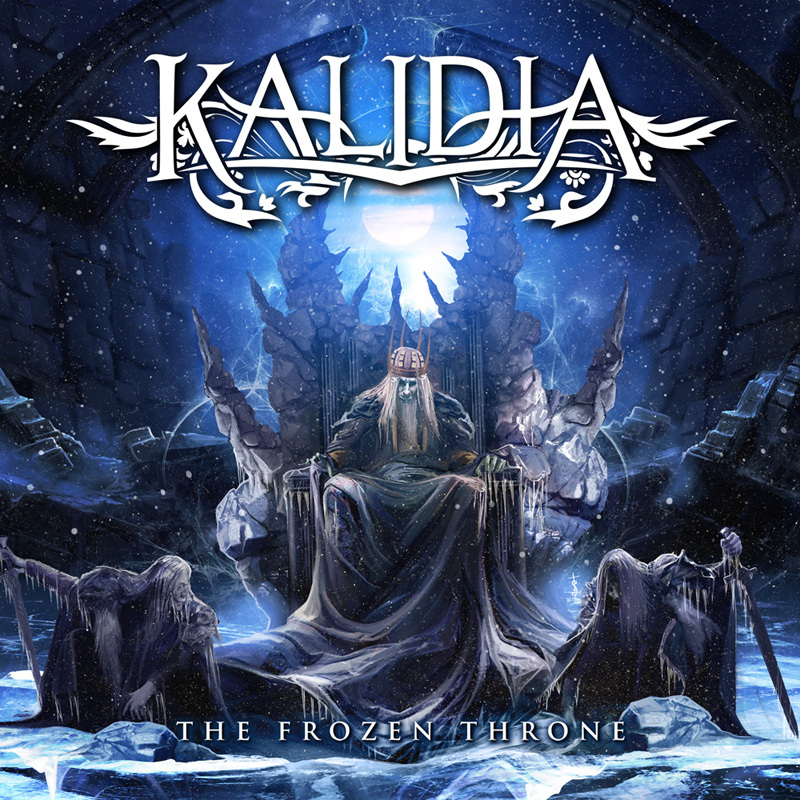 We are happy to announce that we will release the new Kalidia album "The Frozen Throne" on vinyl! There will be a standard black disc version (not limited) as well as a transparent dark blue/black marble version, limited to 100 copies worldwide. The release date is set to April 12th. "Legend of the Bone Carver", the classic second album from PYRAMAZE will be re-issued on CD, digital and for the first time on vinyl on February 15th in Europe and North America via Inner Wound Recordings. The re-issue includes an extended 16 page booklet that features album history written by Pyramaze guitarist and founder Michael Kammeyer. The CD and digital editions also includes the bonus track "Flame and Retribution" that was originally only included on the Japanese edition of the album. "Dear fans of Pyramaze and all things metal: our highly praised concept album Legend of the Bone Carver is up for a re-issue. Originally released back in 2006 to great acclaim, the album was dubbed by genre fans as one of the best concept albums in fantasy metal. Now almost 13 years later our album has found a new home with Inner Wound Recordings of Sweden. This release also means that ALL Pyramaze albums, both old and new, are finally under one roof with the very passionate crew at Inner Wound. The re-issue features a re-worked booklet, insightful album history and a bonus track. This should be a real treat for any Pyramaze fan. While I myself am no longer an active member of Pyramaze, I still follow the guys closely as a friend and fan of the new releases. I'm also still handling the business decisions regarding the three first albums, and this release has been in the making between myself, Pyramaze and Inner Wound Recordings for quite some time. Finally it's a reality and on behalf of all of us, I hereby announce that Legend of the Bone Carver 2.0 will be out in Europe and North America (digital worldwide) on February 15, 2019. Metal greetings and Merry Christmas (God Jul)"
Close your eyes and picture an epic novel-like tale from start to finish. An original story centering on the classic tale of good vs. evil - of unspeakable horror consuming all that is good in a realm of Tolkien-like proportions, and a prayer that brings a mystical young hope of unknown origin to the world. Will this young innocent soul be able to help against the massive upheaval and chaos? You'll have to hear the album in its entirety to know the whole story and find out what the LEGEND OF THE BONE CARVER is all about! "Legend of the Bone Carver" was mixed and mastered by Jacob Hansen (Volbeat, Amaranthe, Evergrey). 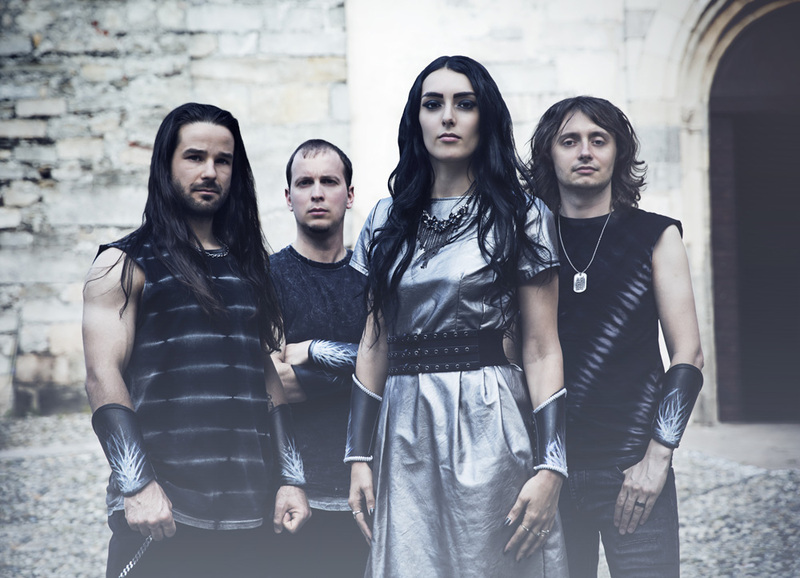 The Italian melodic power metal band KALIDIA just released a music video for "Circe's Spell", the third single from their new album "The Frozen Throne". "The Frozen Throne" will be released on November 23rd via Inner Wound Recordings. The album will be available on CD, digital and as an exclusive black wooden box edition, limited to 250 hand-numbered copies. The Italian melodic power metal band KALIDIA just released a lyric video for "Black Sails", the second single from their new album "The Frozen Throne". The music video for "Frozen Throne", the first single from the album recently passed 300,000 views on YouTube in less than three weeks! 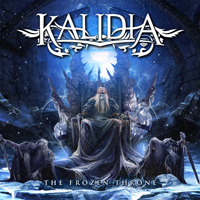 The Italian melodic power metal band KALIDIA just released a music video for "Frozen Throne", the first single from their new album "The Frozen Throne". Inner Wound Recordings are proud to announce the signing of the Italian melodic power metal band KALIDIA to the label. The band's new album "The Frozen Throne" will be released on November 23rd. Inspired by classic power metal bands like Rhapsody of Fire, Hammerfall and Stratovarius as well as new bands like Beast In Black, Kalidia have created an uplifting melodic power metal album with the roots in classic power metal with a modern and fresh touch. "The Frozen Throne" was produced, recorded and mixed by Lars Rettkowitz [Freedom Call], mastered by Achim Kohler [Primal Fear, Amon Amarth, Brainstorm] and the cover artwork was created by Stan W. Decker [Vanden Plas, Primal Fear]. Led by the charismatic vocalist Nicoletta Rosellini and with a really strong album behind them, Kalidia are ready to show the metal scene that they are a force to be reckoned with! "The 8th Sin", the classic eighth album from the Swedish melodic metal masters NOCTURNAL RITES will be released on vinyl for the first time on November 9th via Inner Wound Recordings. The vinyl edition is strictly limited to 500 copies (300 copies with black disc and 200 copies with white disc) worldwide. "Dragonslayer", the classic debut album from the Swedish metallers DREAM EVIL will be released on vinyl for the first time on November 9th via Inner Wound Recordings. The Finnish cinematic metal band Dark Sarah just released a lyric video for "The Gods Speak (feat. Marco Hietala & Zuberoa Aznarez)", the second single from their new album "The Golden Moth". The Finnish cinematic metal band Dark Sarah will release their new album "The Golden Moth" on September 21st in Europe and North America via Inner Wound Recordings. 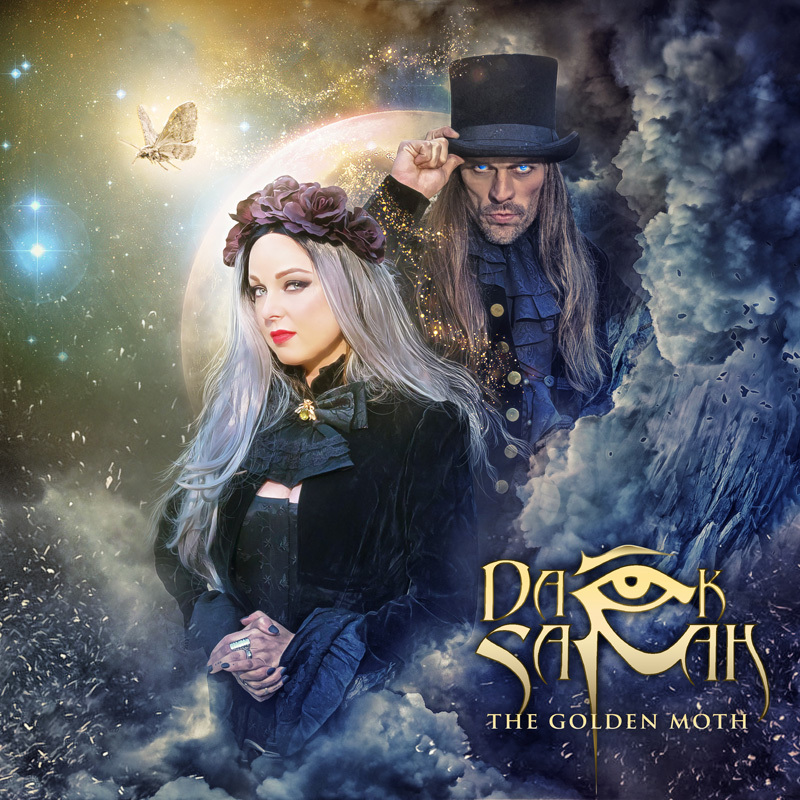 On "The Golden Moth" album Dark Sarah has to face the final test and find her way to the gods in the Upper World. After she had solved the puzzle in The Underworld and found the three keys, the Iron birds came there for her and took her to the Upper World, a deserted waste land where the gods rule. But also a trespasser, The Dragon, came with her. In the heat of the desert they meet again and there is something The Dragon wants from her..
JP Leppaluoto (Charon) has joined the official lineup as The Dragon for the upcoming album. Also in the roles of The Gods you will hear featuring artists as Zuberoa Aznarez (Diabulus In Musica) and Marco Hietala (Nightwish) and Netta Skog (ex. Ensiferum) as Fortune teller. LP editions of the Wind Rose album "Stonehymn" and the Metalite debut album "Heroes In Time" will be released on June 1st via Inner Wound Recordings. Both LP editions are limited to 300 copies, and includes an insert with lyrics. 180202: Metalite release new single: "Afterlife (Piano Version)"
The Swedish melodic metal band METALITE just released a piano version of their debut single "Afterlife". "Afterlife (Piano Version)" is available at all digital outlets as a digital single, as well as on YouTube at the link below. "Afterlife (Piano Version)" is produced, arranged and mixed by Emma Bensing. 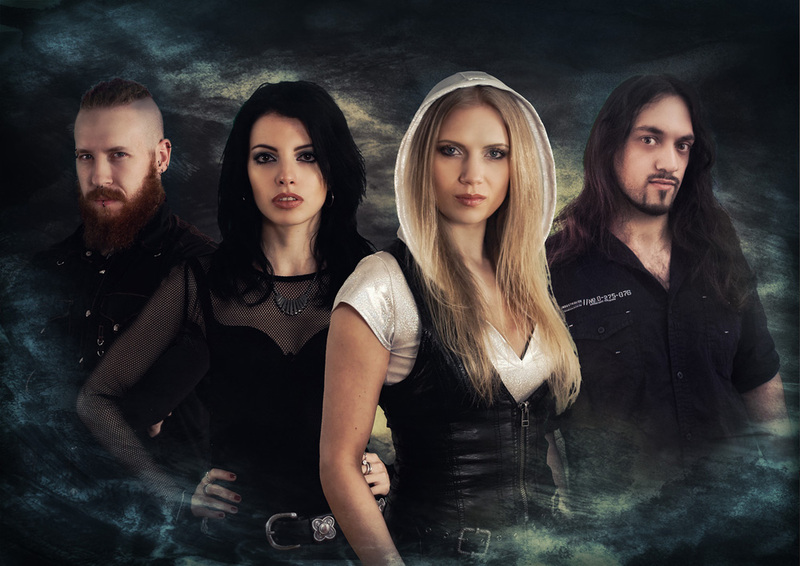 The female fronted progressive power metal band VANDROYA just released a music video for "The Path To The Endless Fall", the second single from their new album "Beyond The Human Mind". The album is available now through Inner Wound Recordings. 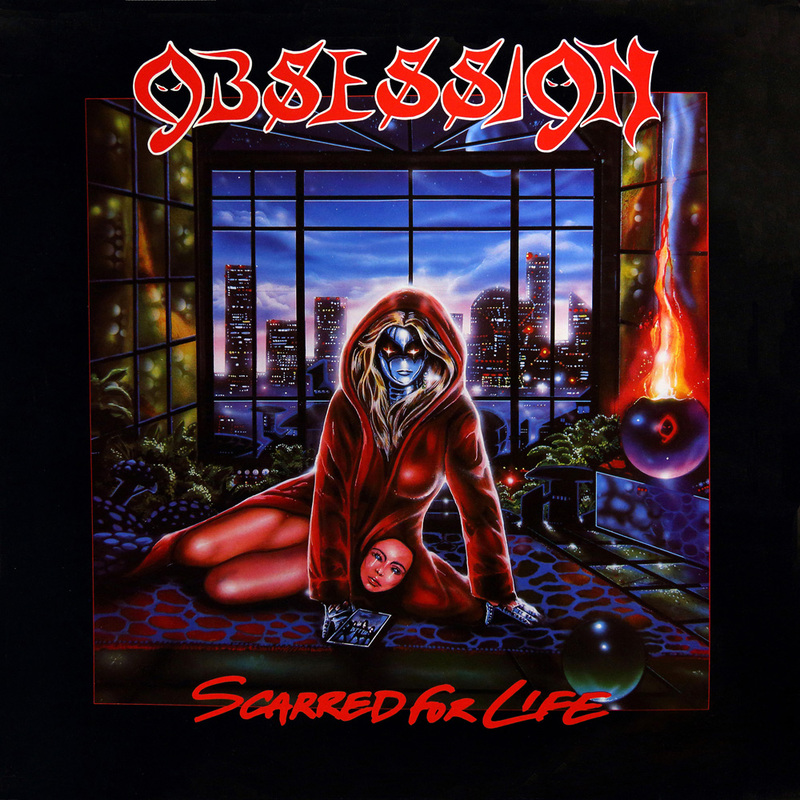 Inner Wound Recordings are proud to announce re-issues of the first three releases from the classic US heavy metal band OBSESSION. 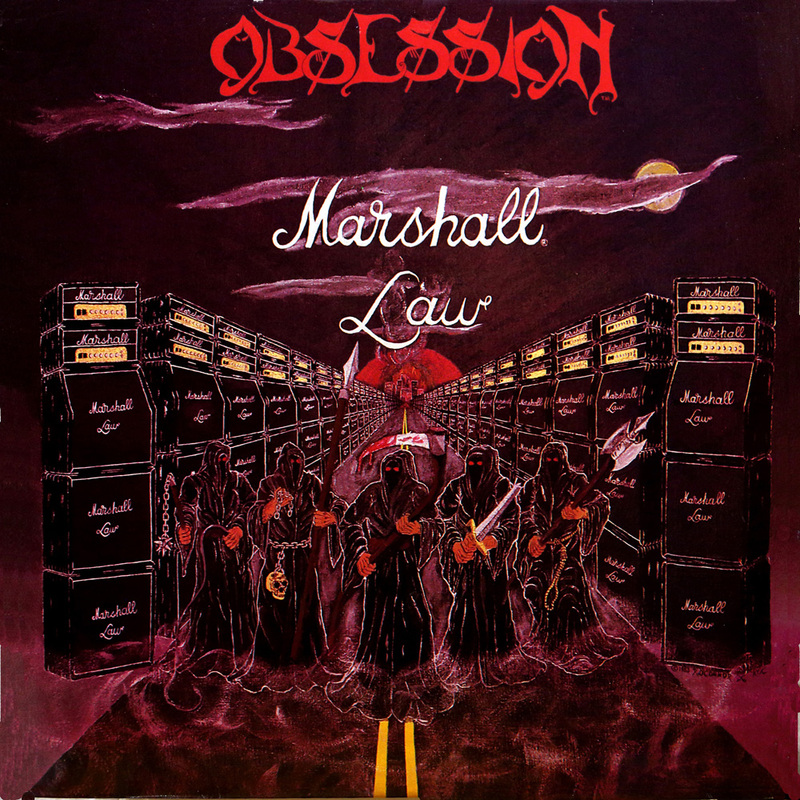 The "Marshall Law" EP, "Scarred for Life" and "Methods of Madness" will all be re-issued on CD and digital, and the release date is set to December 1st for Europe and North America. The CD editions comes with a 12 page booklet that includes lyrics as well as liner notes from Michael Vescera. 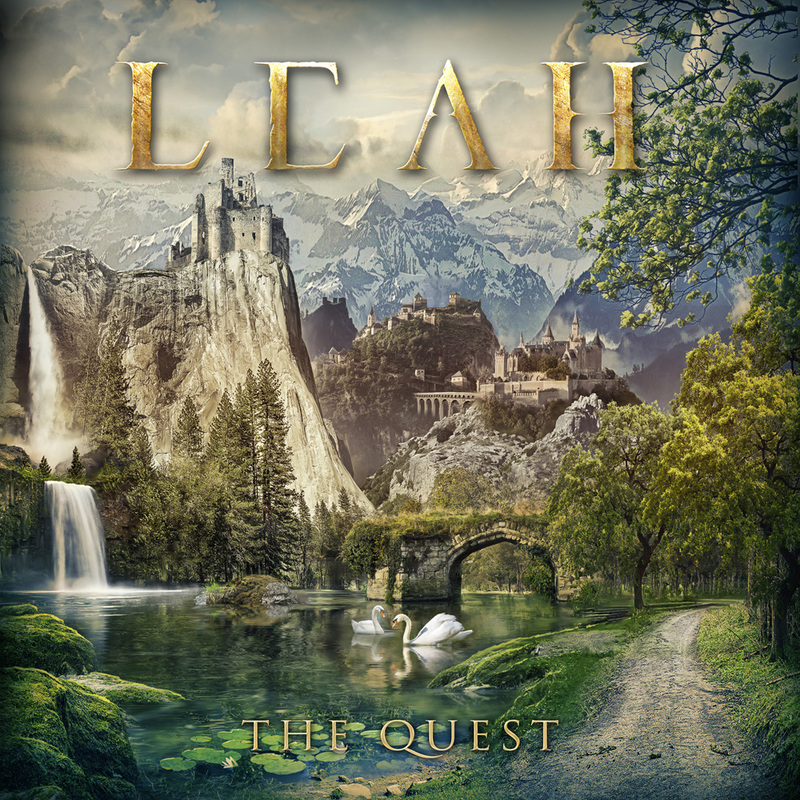 Vinyl editions of the first three releases from the symphonic metal artist LEAH will be released on December 15th through Inner Wound Recordings. The folk/power metal band WIND ROSE just released a music video for "The Returning Race", the third single from their new album "Stonehymn". The album is available in Europe and North America through Inner Wound Recordings and in Japan through Rubicon Music. 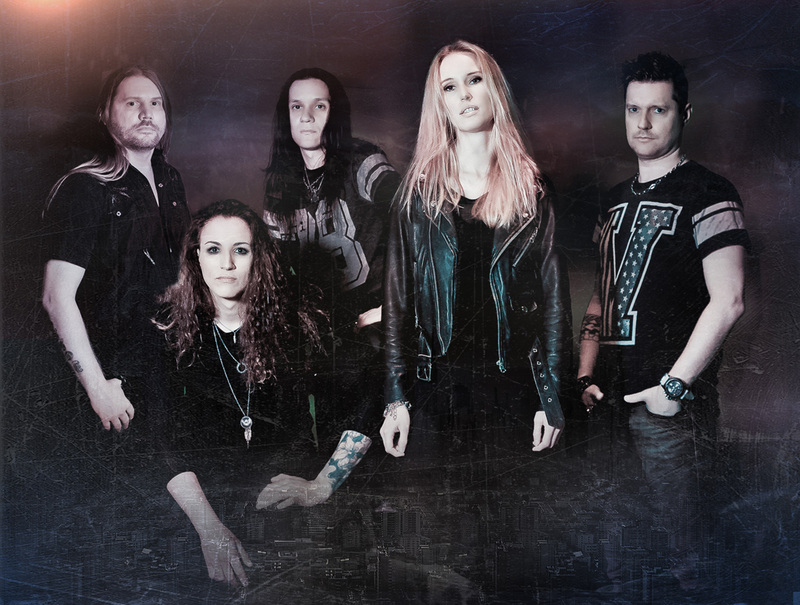 The female fronted melodic metal band ANGEL NATION just released a lyric video for "Breathe Again", the second single from their new album "Aeon". "Aeon" will be released October 27th in Europe and North America through Inner Wound Recordings. 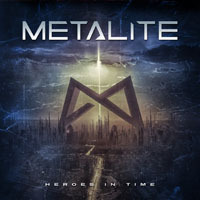 The Swedish melodic metal band METALITE just released a lyric video for "Nightmare", the second single from their debut album "Heroes In Time". "Heroes In Time" will be released on October 27th in Europe and North America through Inner Wound Recordings. Power Quest, the renowned melodic power metal band based in the UK just released a music video for "Lords of Tomorrow", the second single from their long awaited 6th album "Sixth Dimension". The album will be released on October 13th via Inner Wound Recordings in Europe/USA and on October 11th in Japan via Marquee/Avalon. Oct 6	Fibbers, York UK - SOLD OUT! Oct 8	Sound Control, Manchester UK - SOLD OUT! Oct 12	Globe, Cardiff UK - SOLD OUT! Oct 14	Wedgewood Rooms, Portsmouth UK - SOLD OUT! Oct 15	Forum, Tunbridge Wells UK - SOLD OUT! 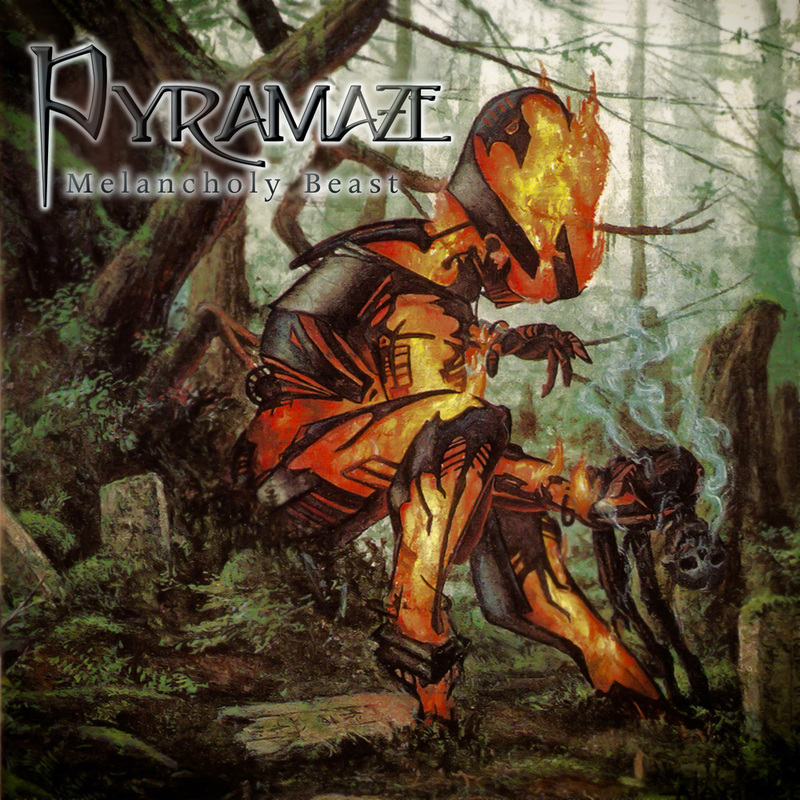 "Melancholy Beast", the classic debut album from PYRAMAZE will be re-issued on CD/digital on November 24th in Europe and North America through Inner Wound Recordings. The album was originally released in 2004. The re-issue includes an extended 20 page booklet that features track commentary and album history written by Pyramaze guitarist and founder Michael Kammeyer. The re-issue also includes the bonus track "The Wizard" that was originally only included on the Japanese edition of the album. "Dear fans of Pyramaze and all things metal! It's time for the old to become the new! Our highly praised debut album Melancholy Beast is up for a re-release. Originally released back in 2004, the album has had a good run, but has become increasingly hard to obtain in the stores over the last years, due to obsolete record contracts and label changes. While the new Pyramaze stuff continues to gather new fans around the world, the old album(s) have also become highly coveted by the growing Pyramaze fanbase. Therefore it is with great pride and joy that I can announce the signing for a re-release with Inner Wound Recordings. The album has been updated with track commentary, album history and new band photos inside the booklet. Also for the first time outside of Japan with the bonus track "The Wizard". This should be a real treat for any Pyramaze fan. While I myself am no longer an active member of Pyramaze, I still follow the guys closely as a friend and fan of the new releases. I'm also still handling the business decisions regarding the three first albums. And this release has been in the planning between myself, Pyramaze and Inner Wound Recordings for quite some time. Finally it's a reality, and on behalf of Pyramaze, Inner Wound Recordings and myself I hereby announce that Melancholy Beast 2.0 will be out in Europe and North America on November 24th. Metal greetings, Michael Kammeyer (ex-Pyramaze captain/guitarist)." "Melancholy Beast" was mixed and mastered by Jacob Hansen [Volbeat, Amaranthe, Evergrey]. The female fronted melodic metal band ANGEL NATION just released a music video for "Burn The Witch", the first single from their new album "Aeon". 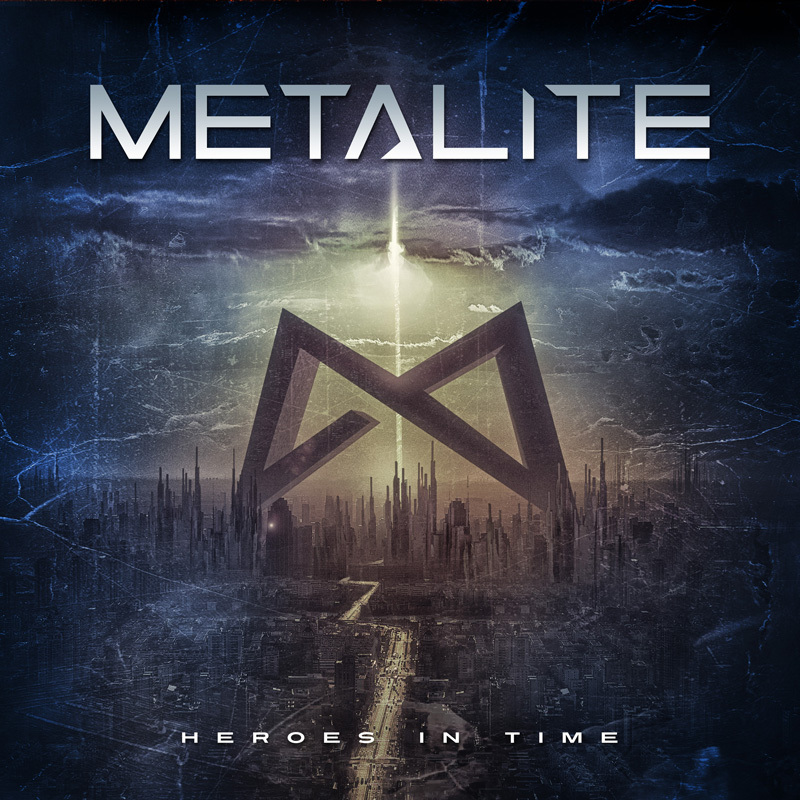 The Swedish melodic metal band METALITE just released a music video for "Afterlife", the first single from their debut album "Heroes In Time". The music video was directed by 11Frames Productions [Hammerfall, The Unguided]. Power Quest, the renowned melodic power metal band based in the UK just released a lyric video for "Kings And Glory", the first single from their long awaited 6th album "Sixth Dimension". The album will be released on October 13th via Inner Wound Recordings in Europe/USA and on October 11th in Japan via Marquee/Avalon. Inner Wound Recordings are proud to announce the signing of the Swedish melodic metal band METALITE to the label. The band's debut album "Heroes In Time" will be released on October 27th in Europe and North America. Metalite was formed in Stockholm, Sweden in 2015 when Edwin Premberg [guitar] met Emma Bensing [vocals]. The goal was to write and record melodic and memorable metal songs with a modern and fresh sound. Edwin and Emma started to co-operate with the Danish producer Jacob Hansen [Volbeat, Evergrey, Amaranthe] and songs started to take shape. During 2016 Metalite found three experienced musicians that agreed to join the band: Lea Larsson [drums], Robert Ornesved [guitar] and Robert Majd [bass]. "Heroes In Time" is an impressive debut album filled with melodic and memorable songs, crowned with the strong and emotional vocals by vocalist Emma Bensing as well as a powerful production by Jacob Hansen. The album should be perfect for fans of bands like Beyond The Black, Dynazty and Amaranthe! 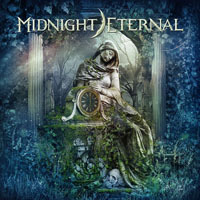 The artwork was created by Jan Yrlund [Apocalyptica, Leah, Korpiklaani] and guest appearances on the album includes Fraser Edwards [Ascension] and Jakob Svensson [Wigelius]. Inner Wound Recordings are proud to announce the signing of the female fronted melodic metal band ANGEL NATION to the label. The band's new album "Aeon" will be released on October 27th in Europe and North America. 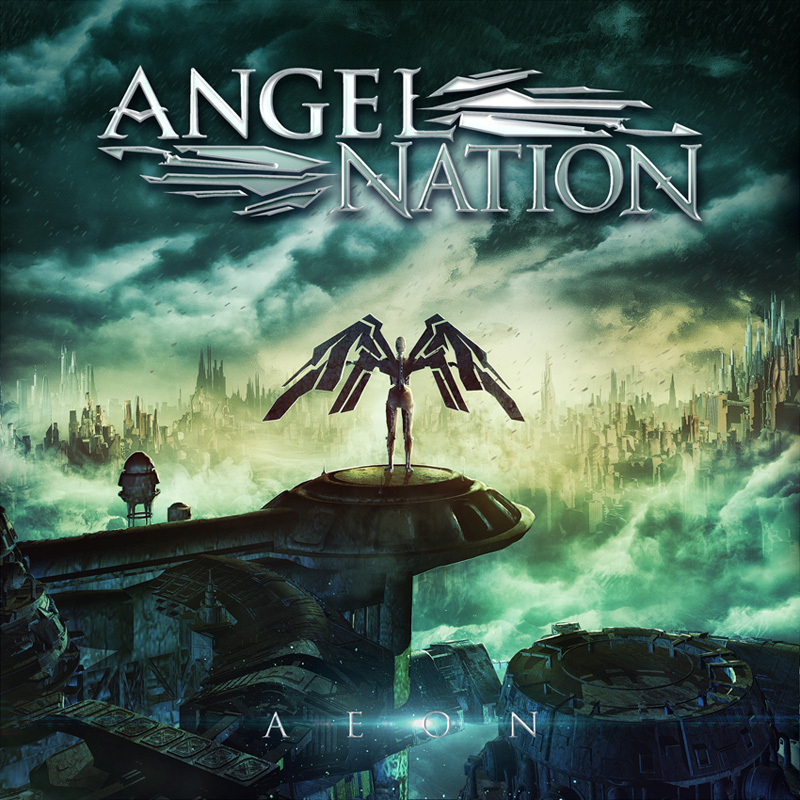 Angel Nation is a melodic metal band founded by the classically trained Finnish singer Elina Siirala who moved to London in 2008 and fell in love with the power of rock and metal. Their debut album [released under the name EnkeliNation] "Tears of Lust" was received with glowing reviews all over the world. 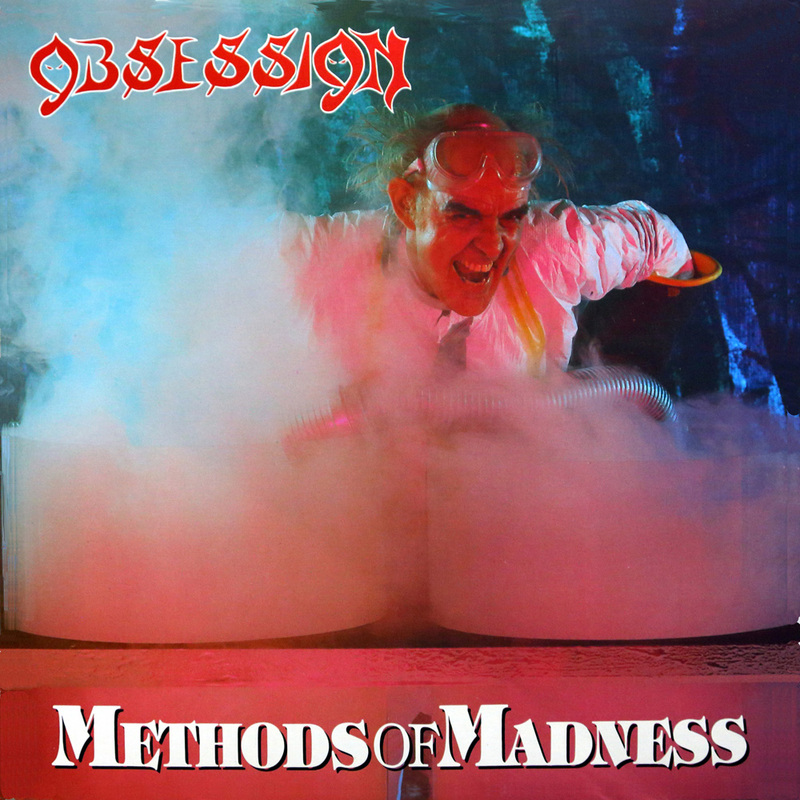 The release in 2014 was followed by shows at Bloodstock Open Air, shows in Finland amongst others. In 2016 Elina also joined Leaves' Eyes as their new vocalist. 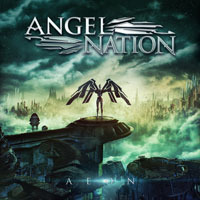 Angel Nation's second album "Aeon" continues the musical diversity that Elina likes to express in her songwriting. The unique blend of retro and modern sounds is developed even further with this album. 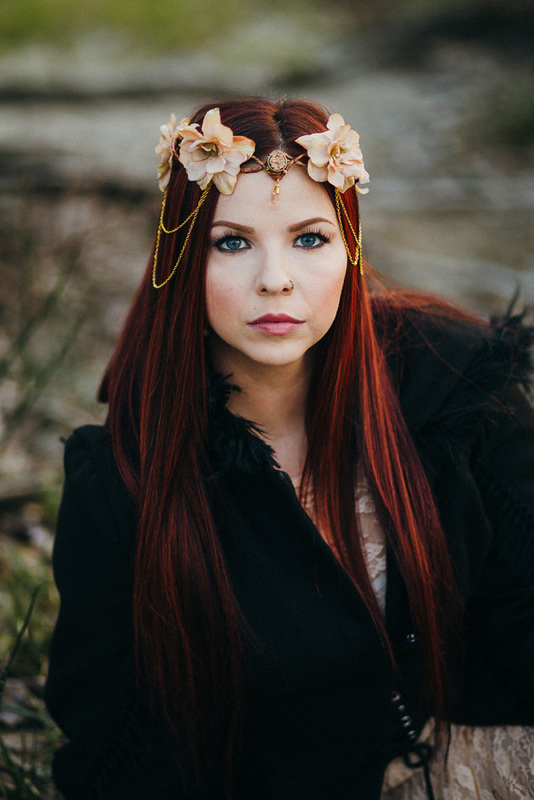 The power of metal and rock combined with Elina's ethereal yet strong and emotional vocals create the perfect platform for stories of both earthly and otherworldly she likes to create with her lyrics. 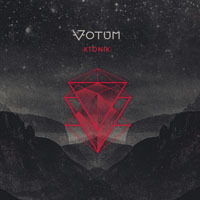 The album features a guest appearance by Jukka Pelkonen [Omnium Gatherum] on vocals and the artwork was created by Darkgrove Design [Apocalyptica, Delain, Leah]. Get ready for it all: Heavy, rocking and epic tunes from this highly anticipated album with tons of character! 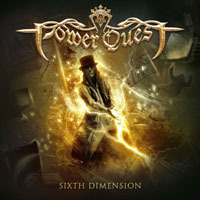 Power Quest, the renowned melodic power metal band based in the UK, will release their long awaited 6th album "Sixth Dimension" on October 13th via Inner Wound Recordings in Europe/USA and on October 11th in Japan via Marquee/Avalon. Steve Williams commented "We are all so excited about this record, probably more so than ever before. I think it has the classic PQ stamp and then some!" Power Quest, the renowned melodic power metal band based in the UK, will release their long awaited 6th album "Sixth Dimension" on October 13th via Inner Wound Recordings in Europe/USA and on October 11th in Japan via Marquee/Avalon. The album cover, once again designed by Felipe Machado Franco, can be seen below. The album, the first PQ album since 2011, will contain 9 songs (plus a bonus track for the limited edition CD and for the Japanese market). The album will be available in standard jewel case CD, limited edition digibook and also limited edition vinyl. You can pre-order the standard jewel case CD edition via the links below. 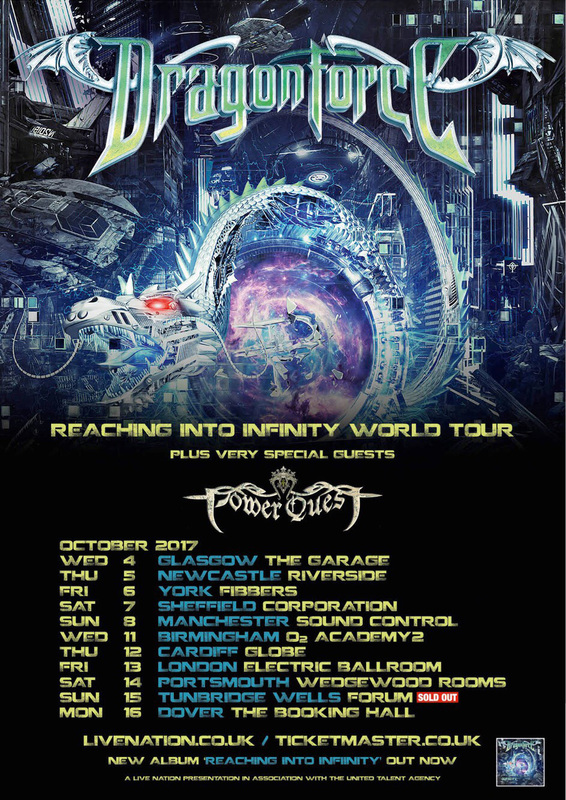 The band are thrilled to announce that they will be touring the UK as Special Guests of power metal legends Dragonforce in October 2017 taking in 11 shows up and down the country. Keyboardist and founder member Steve Williams commented "It's going to be a real blast touring the UK with my mates Sam, Herman and the rest of the DF lads. Can't wait to get started and I think it's a package that all UK power metal fans have wanted to see for a long time..and now it's here! See you on the road!" The folk/power metal band WIND ROSE just released a music video for "To Erebor", the second single from their new album "Stonehymn". The album will be released on May 26th in Europe and North America through Inner Wound Recordings. 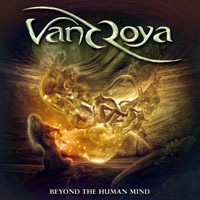 The female fronted progressive power metal band VANDROYA will release their new album "Beyond The Human Mind" on April 28th through Inner Wound Recordings. The second single from the album, entitled "The Path To The Endless Fall" is available for streaming at YouTube at the link below. The US progressive power metal band MINDMAZE just released a lyric video for "One More Moment", the second single from their new album "Resolve". The album will be released on April 28th in Europe and North America through Inner Wound Recordings. 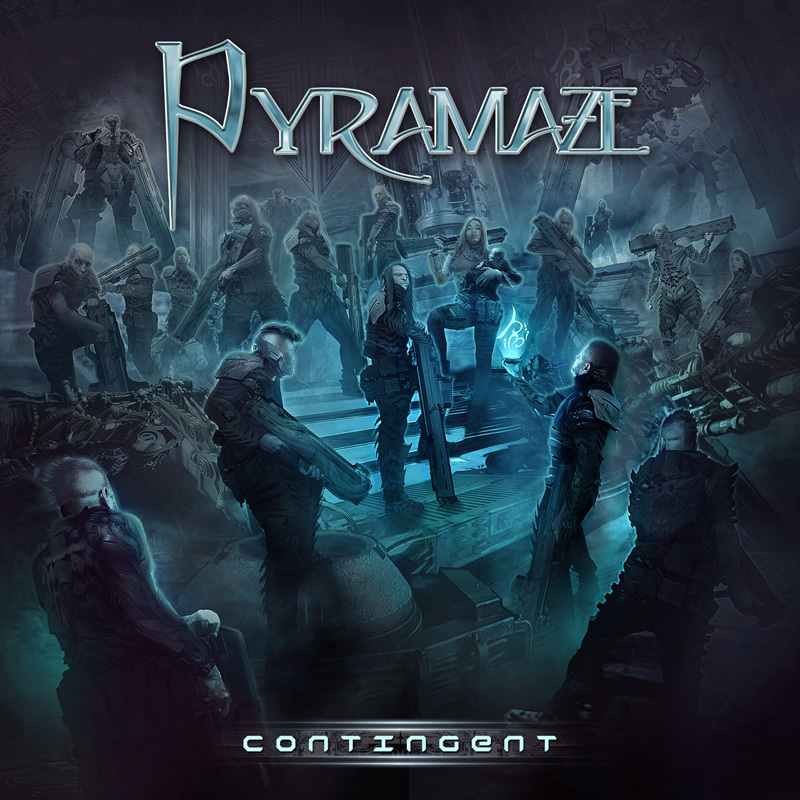 The melodic metal band PYRAMAZE just released a music video for the track "A World Divided" from their highly anticipated new album "Contingent". The album will be released on April 28th in Europe and North America through Inner Wound Recordings. Inner Wound Recordings are proud to announce the release of an LP edition of the latest ENBOUND album "The Blackened Heart". The edition is strictly limited to 300 copies worldwide and the release date is set to May 5th. 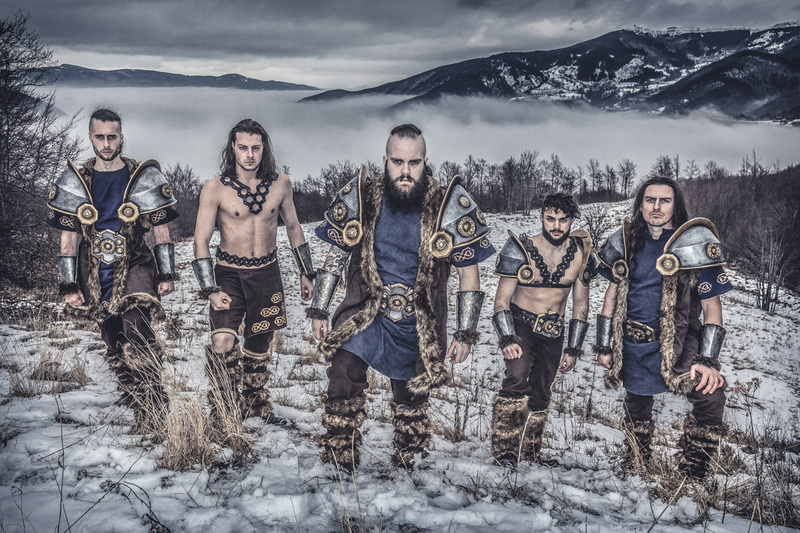 The folk/power metal band WIND ROSE just released a lyric video for the track "The Wolves' Call" from their new album "Stonehymn". The album will be released on May 26th in Europe and North America through Inner Wound Recordings. The melodic metal band PYRAMAZE just released a lyric video for the track "Kingdom of Solace" from their highly anticipated new album "Contingent". The album will be released on April 28th in Europe and North America through Inner Wound Recordings. 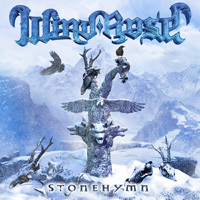 The folk/power metal band WIND ROSE will release their new album "Stonehymn" on May 26th in Europe and North America through Inner Wound Recordings. 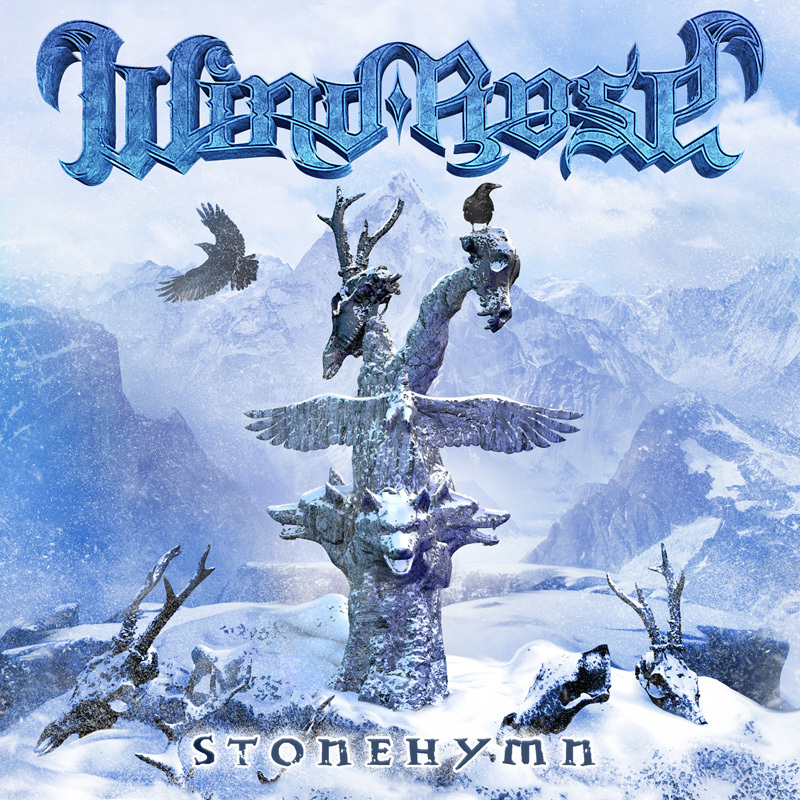 Having toured with bands like Wintersun, Eluveitie and Ensiferum, and with two successful albums under their belt, WIND ROSE are ready to take things to the next level with the release of their third album "Stonehymn", an album filled by the epic, powerful and folk inspired brand of power metal the band is known for. "Stonehymn" was mixed and mastered by Simone Mularoni [DGM, Ancient Bards, Secret Sphere] and the artwork was created by Jan Yrlund [Apocalyptica, Korpiklaani, Tyr]. WIND ROSE are confirmed for Masters of Rock 2017, that takes place in Vizovice [CZ] on July 13-16th. Other bands confirmed for the festival are Sabaton, Running Wild, Kreator, Edguy, Epica and more. The US progressive power metal band MINDMAZE just released a music video for "Sign of Life", the first single from their new album "Resolve". The album will be released on April 28th in Europe and North America through Inner Wound Recordings. The progressive power metal band VANDROYA just released a lyric video for "I'm Alive", the first single from their highly anticipated new album "Beyond The Human Mind". The album will be released on April 28th in Europe and North America through Inner Wound Recordings. The melodic metal band PYRAMAZE just released a lyric video for the track "20 Second Century" from their highly anticipated new album "Contingent". The album will be released on April 28th in Europe and North America through Inner Wound Recordings. 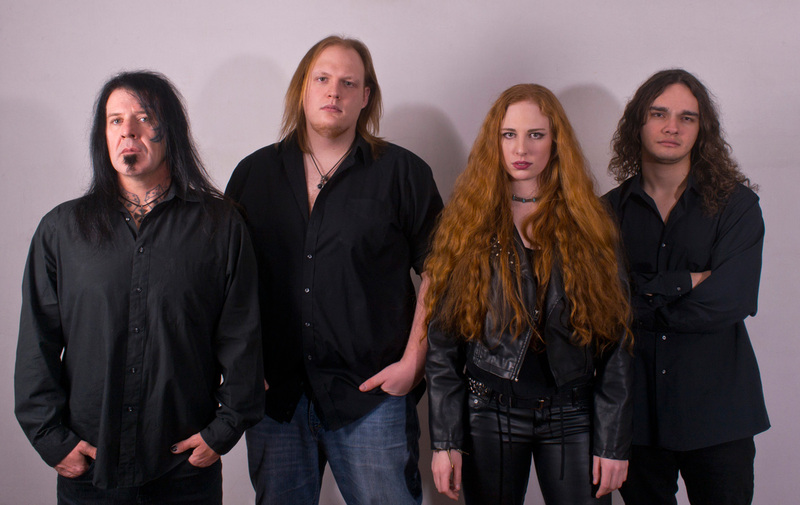 Inner Wound Recordings are proud to announce the signing of the folk/power metal band WIND ROSE to the label. Their new album "Stonehymn" is scheduled to be released later this spring and more details will be revealed later this month. 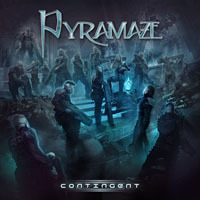 The melodic metal band PYRAMAZE will release their new album "Contingent" on April 28th in Europe and North America through Inner Wound Recordings. 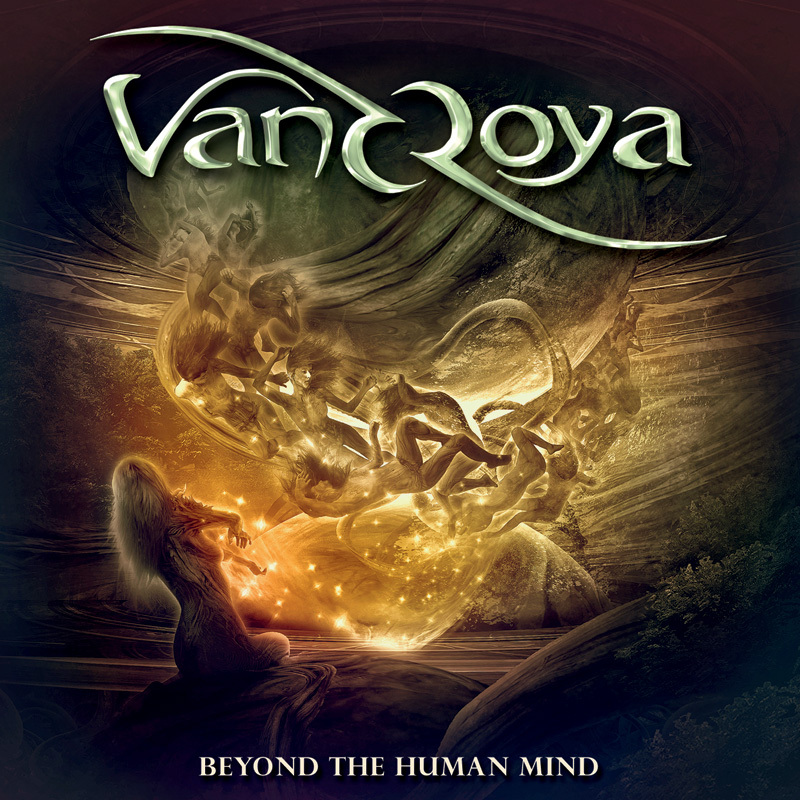 The progressive power metal band VANDROYA will release their new album "Beyond The Human Mind" on April 28th in Europe and North America through Inner Wound Recordings. With a more evident progressive influence but without giving up the weight and virtuosity of power metal, the new album brings a more mature band, a more balanced sound and reflects the musicians technical and artistic evolution since the debut album "One". The album concept revolves around the journey we all go through in search of fullness and inner peace. 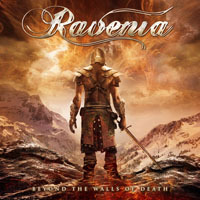 The album artwork is created by Felipe Machado Franco [Blind Guardian, Rhapsody of Fire, Iced Earth]. Led by vocalist Daisa Munhoz, Vandroya are ready to take the next step and make a mark in the metal scene with "Beyond The Human Mind". 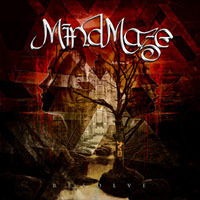 The US progressive power metal band MINDMAZE will release their new album "Resolve" on April 28th in Europe and North America through Inner Wound Recordings. Over the span of 68 minutes of melodic and powerful music ripe with recurring themes, the band takes the listener on a whirlwind journey through the scope of human emotion in hopes they will be able to project their own experiences into these intensely personal lyrics inspired by an amalgam of real-life events. 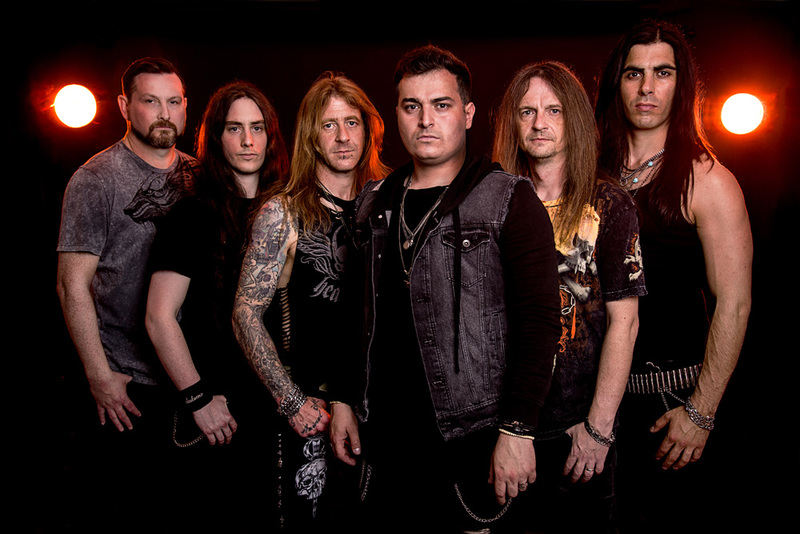 Resolve reprises the band's ever-present influences from bands like Queensryche, Dream Theater, Iron Maiden, Savatage, and a mixture of contemporary power metal and melodic rock hooks and songwriting while moving the band further into progressive and theatrical territory with more atypical song structures used to best serve the concept of the album. The band continues to forge their footprint as one of the most promising and unique female-fronted bands to come along in recent times. Inner Wound Recordings are proud to announce the signing of POWER QUEST, one of the premiere melodic power metal bands in the world, to the label. The band will hit the studio in April and the new album is scheduled to be released in October. Known for their catchy, uplifting sound and superb live shows, PQ are back to deliver their 6th album in conjunction with Inner Wound. Having toured with the likes of Helloween, Angra, Freedom Call and Symphony X to name but a few, the band are ready to take things to the next level. I'm really pleased to have sealed the deal with Emil and Inner Wound for the release of the next PQ opus. We were in discussions for a couple of months, during which time the salient points of the deal were already agreed before I recently flew to Gothenburg to sign the agreement in person. In this age of faceless business it was refreshing to do things the old fashioned way. I'm really excited about this collaboration and we have a lot of cool things planned for the next 12 months. 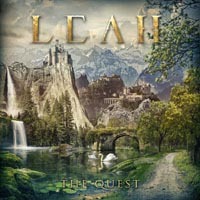 It's a true pleasure to announce the signing of POWER QUEST to the label. During the past few months that Steve and I have been in contact it's become clear that we share the same vision for the band and that POWER QUEST and Inner Wound is a perfect fit. I am really excited about the cooperation and also confident that together we'll be able to take POWER QUEST to the next level. 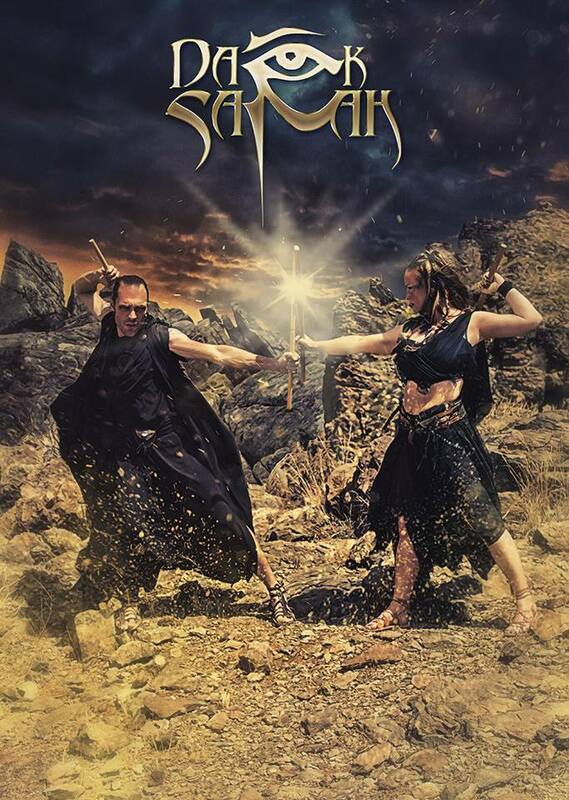 The cinematic metal band DARK SARAH just released a music video for the track "Dance With The Dragon" feat. JP Leppaluoto [Charon, Northern Kings] online. The new DARK SARAH album "The Puzzle" will be released on November 18th in Europe and North America through Inner Wound Recordings. Dark Sarah is a music project by Finnish metal band Amberian Dawn's former vocalist Heidi Parviainen. The new album "The Puzzle" is a concept album and it continues the story from the debut album "Behind The Black Veil". 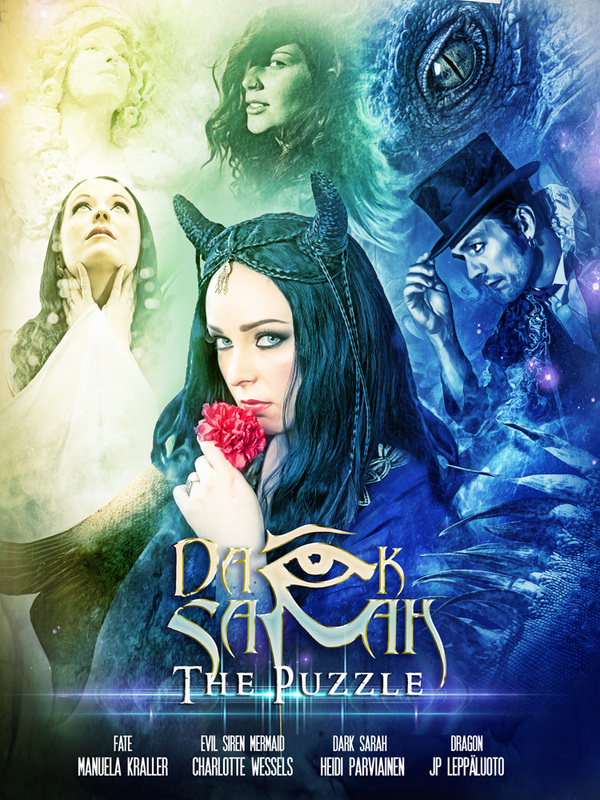 "The Puzzle" tells a story of Dark Sarah who has been send to an island where the banished souls live. To get off the island she needs to solve the puzzle and find three keys. Dark Sarah's music combines metal, film music and theatrical elements. 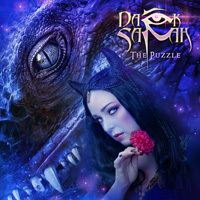 On "The Puzzle" album Dark Sarah's thoughts are best depicted in the dialogues (duets) with the guests: FATE: Manuela Kraller [ex. Xandria], EVIL SIREN MERMAID: Charlotte Wessels [Delain] and DRAGON: JP Leppaluoto [Charon, Northern Kings]. 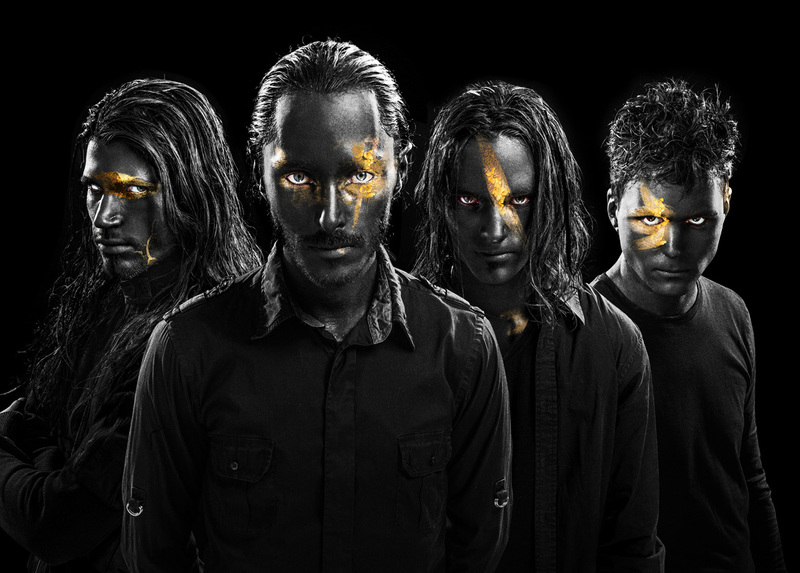 The Swedish melodic metal band ENBOUND just released a music video for the track "Give Me Light". The new ENBOUND album "The Blackened Heart" will be released on November 18th in Europe and North America through Inner Wound Recordings. 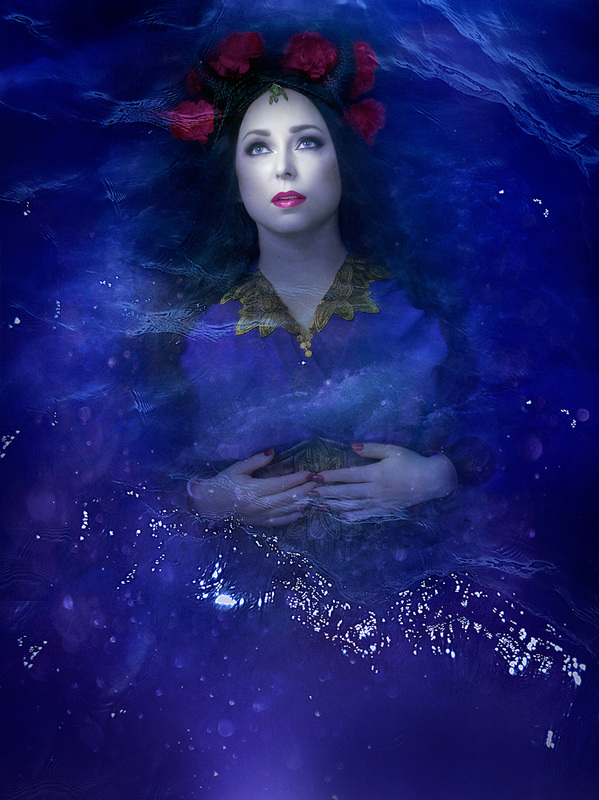 The cinematic metal band DARK SARAH just released a lyric video for the track "Aquarium" feat. Charlotte Wessels [Delain] online. The new DARK SARAH album "The Puzzle" will be released on November 18th in Europe and North America through Inner Wound Recordings. 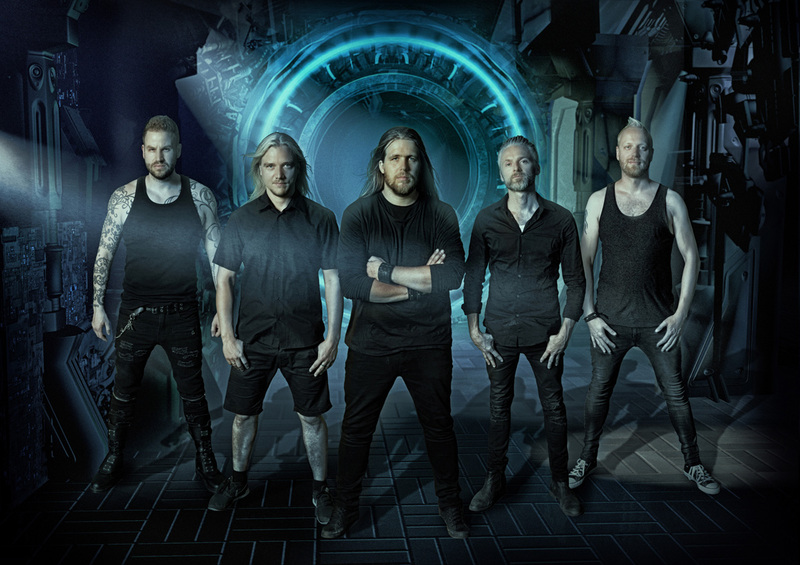 The Swedish melodic metal band ENBOUND just released a lyric video for "Falling", the opening track from their new album "The Blackened Heart". The album will be released on November 18th in Europe and North America through Inner Wound Recordings. 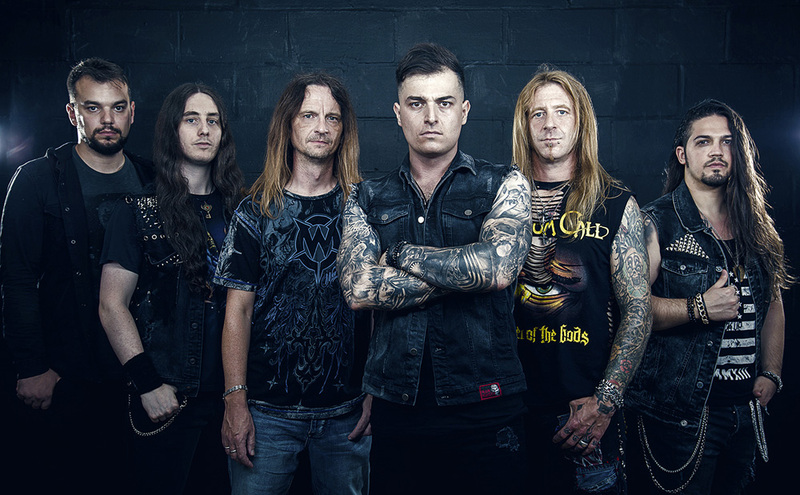 The Swedish power metal band PERSUADER have released a studio video from the creation of the fifth PERSUADER studio album, currently in the pre-production phase. The album is scheduled to be released in 2017 through Inner Wound Recordings. PERSUADER also welcomes Fredrik Mannberg [Nocturnal Rites, Guillotine] as the bands new guitar player, to replace Daniel Sundbom that left the band recently. "Daniel left the band a while ago and we want to thank him for a great decade of metal! It feels great to welcome Fredrik into the band as he fits perfect into the band chemistry and he also did very well on the recent shows where he filled in for Daniel. Welcome Fredrik!" 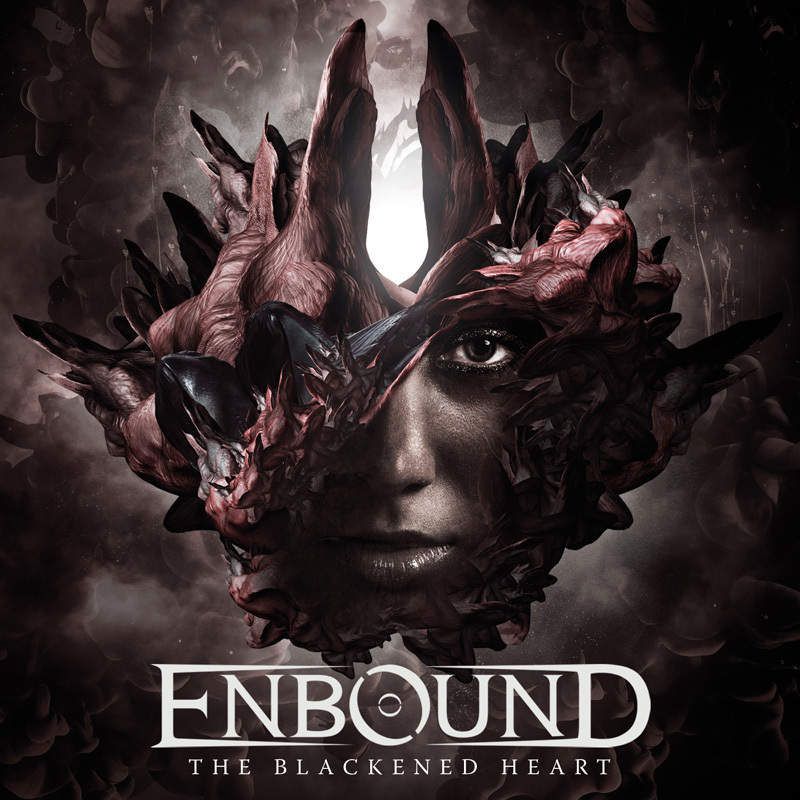 The Swedish melodic metal band ENBOUND will release their new album "The Blackened Heart" on November 18th in Europe and North America through Inner Wound Recordings. "The Blackened Heart" contains a nice mix of heavy and up tempo songs, all with their own strong and grasping melodies. 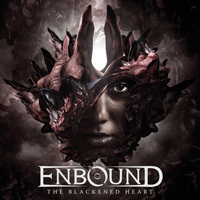 Enbound prove with "The Blackened Heart" that they can handle any angle of melodic metal. Like on their debut album, the characteristic powerful arrangements remain with the fantastic and emotional vocals from Lee Hunter on top. 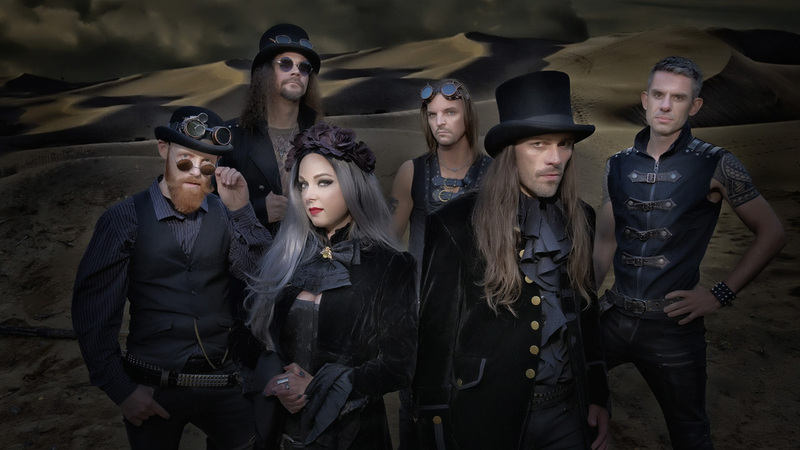 The album was mastered by Jacob Hansen [Amaranthe, Volbeat, Primal Fear] and guests on the album includes Linnea Wikstrom [Kamelot, Therion] and Mike LePond [Symphony X]. The cinematic metal band DARK SARAH will release their new album "The Puzzle" on November 18th in Europe and North America through Inner Wound Recordings. The progressive metal band SUNBURST just released a music video for the track "Lullaby" online. 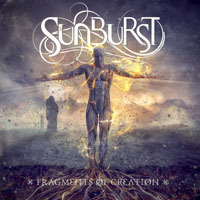 The highly anticipated SUNBURST debut album "Fragments of Creation" was released on February 26th in Europe and North America through Inner Wound Recordings. 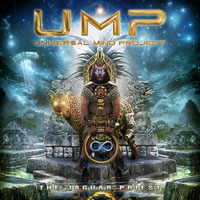 The international progressive metallers UNIVERSAL MIND PROJECT just released a music video for the track "Truth" from their debut album "The Jaguar Priest". The album is available now in Europe and North America through Inner Wound Recordings and will be released in Japan on May 25th through Bickee Music. 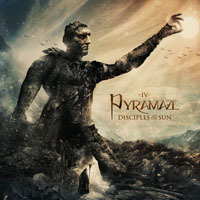 "Truth" features a guest appearance by Mark Jansen [Epica, Mayan].